If you’re a business owner or manager who welcomes customers at your premises, you know better than anyone how difficult it can be to keep on top of marks and stains from beverages and food on the carpets and soft furnishings. 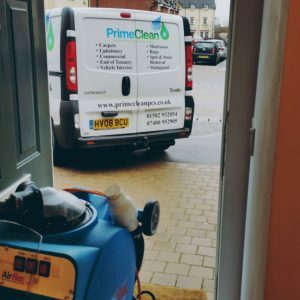 If you’d like to forget about them and focus on the more pressing parts of your business, why not hire my professional carpet and upholstery cleaning services in Dunstable and Luton? Clean floor coverings create a pleasant environment for employees, visitors and customers… Dirty, stained and foul-smelling carpet, on the other hand, sends a negative message about business to both employees and customers. Dirt, dust, salt and allergens do more damage than what meets the eye. They cause the carpet to age before its time. Carpet that has well cared for will last much longer saving you monies! I offer a very personalised carpet and upholstery cleaning services in Dunstable – Luton – Houghton Regis and all surrounding areas. To organise a clean, or get a free quotation or demonstration at your premises, get in touch today!